Although the when and where are hazy, the first time I learned about the architecture of Enrique Norten it was definitely Televisa Edificio de Servicios, which won the first Mies van der Rohe Award for Latin American Architecture back in 1998. It is a relatively early work for the Mexican architect, and although the curved form of the award-winning building is echoed in other projects (e.g. Escuela Nacional de Teatro, also in Mexico City), the buildings of Enrique Norten and TEN Arquitectos are a diverse bunch, sharing a strong understanding of tectonics and a formal bravado that are appropriate to every given site. 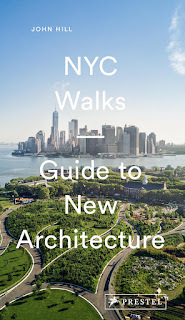 My appreciation of Norten's work was carried through to last decade, when I was writing my Guide to Contemporary New York City Architecture and when Norten had expanded his firm to NYC. 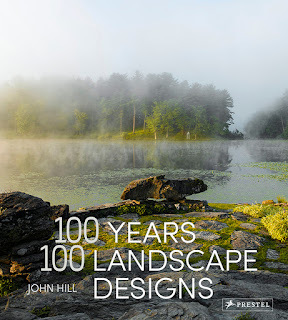 The book has a handful of his firm's buildings, including One York, a piggyback residential addition on Sixth Avenue; 580 Carroll Street, a low-scale apartment building in Park Slope, Brooklyn; Hotel Americano, one of the early neighbors to the then-new High Line park; and Mercedes House, a huge, undulating apartment building on Manhattan's West Side that was still under construction when my book came out in late 2011. Another Norten project that was in the early stages at that time was the Visual and Performing Arts Library, located next to the Brooklyn Academy of Music. His ambitious, competition-winning project filled the tip of the narrow triangular site but left the wide end open for a public plaza – a fitting gesture for a public institution. Unfortunately, the project never happened and the large yet oddly shaped lot languished empty for years. Fortunately, Norten ended up designing what would fill the lot: 300 Ashland, a narrow, wall-like apartment building atop a base with cultural facilities, Brooklyn's second Apple Store, and a branch of the Brooklyn Public Library. Intact is the plaza he first designed for the site. 300 Ashland, aka BAM South, is one of eighteen projects in the new monograph on TEN Arquitectos/Enrique Norten. The eighteen projects are split into three groups of six, though I can't find any logic to their partitioning. Projects from both sides of the US-Mexico border permeate all groups, as do projects that are both built and in progress. Not surprisingly, the book focuses on newer projects, such as BAM, Mercedes House, and the replacement branch NYPL Library across from MoMA on West 53rd Street in Midtown Manhattan. But the projects aren't ordered chronologically. Generally, the projects are treated very cursorily, with very short descriptions and the usual photos/renderings alongside the occasional drawing. Between the three project groupings are two dialogues: one with Elizabeth Diller and Thom Mayne, and one with Enrique Krauze. These dialogues, as well as an essay by Alejandro Hernández Gálvez at the beginning of the book and one by Barry Bergdoll at the back of the book, appear to be the reason for the three groups of six. These four pieces of writing (presented, like the whole book, in English and Spanish) are therefore very important, encapsulating the "lines of investigation" of the book's subtitle. 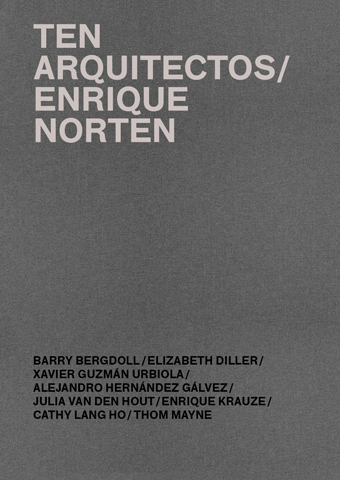 The essays lend some intellectual weight to Norten's architecture, while the dialogues offer some insight into his thinking, which may depart from that of Diller and Mayne but has produced some equally exciting architecture over the last 20 to 25 years.